Kingston, Ontario. : H. F. Shurvell.. Very Good. 1987. Softcover. 0969066317 . 4to - 27.5 x 21 cm. ; 6 - 390 pp. Green covers with white lettering. 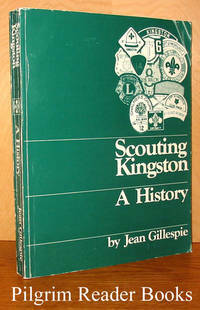 A troop by troop history (Barriefield, Cushendall, Dufferin, Fort Henry, Gananoque, Kingston, Lansdowne, Lyndhurst, Madonna, Pittsburgh, Point Pleasant, Portsmouth, Seeleys Bay and Wolfe Island) of the various scouting groups in Kingston and vicinity. Profusely illustrated with many black and white photographs. The interior is very clean with a solid binding. The front cover is creased on the top fore corner and the spine has two reading creases. Both covers show mild shelf wear and scuffing. . 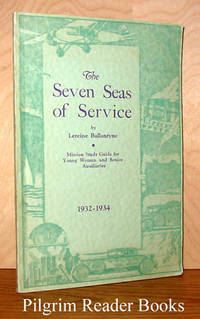 The Seven Seas of Service: 1932-1934. Canada: Women's Missionary Society of the Presbyterian Church in Canada. Very Good. 1934. Soft Cover. 8vo - 23 x 15.5 cm. ; 86 pp. Light green decorated covers with purple lettering. Subtitled "Mission Study Guide for Young Women and Senior Auxiliaries" (Presbyterian). Illustrated with black and white photographs. Includes a small pamphlet of 12 pages entitled "A Guide for Auxiliary Officers", (1932). Light soiling to the covers and shelf wear to the edges. .